Here is your opportunity to own a direct, unobstructed Gulf-front property perfectly suited for a great getaway, a vacation rental or both. As you enter this rarely available second-floor location, sliding glass doors frame a dramatic Gulf vista characterized by glimmering white sands, shimmering waters and spectacular sunsets. This turnkey studio offers stylish contemporary furnishings, granite countertops, stainless steel appliances and tile throughout. Thoughtful design incorporates a disappearing Murphy bed to efficiently utilize living space along with a sofa bed to maximize occupancy. The Beach on Longboat Key is a 15-residence Gulf-front complex offering onsite management with daily, weekly or extended stay rentals. Gross income exceeded $40,000 in 2017, with strong year over year growth." 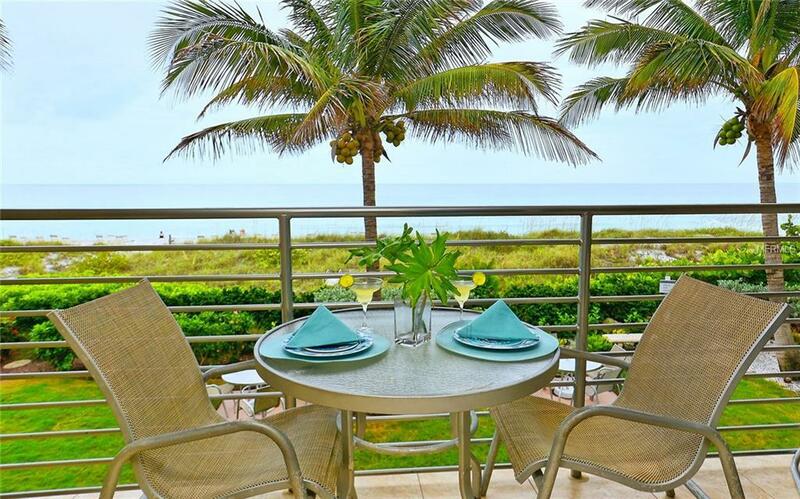 Amenities include daily maid service, heated beachfront pool, picnic area with grills and private beach access. Look no further for your very own piece of paradise.